Early and late afternoon appointments available! Dental cavities and gum diseases are the most widespread diseases among humans. Thankfully, they can be prevented easily. Dental cavities begin when the tooth enamel degrades, causing holes in the tooth. If neglected, the cavities worsen, and the tooth's structure becomes unstable. The infection can extend to the gums, tooth root, and jawbone. In worse cases, tooth decay and gum disease can cause bone loss. 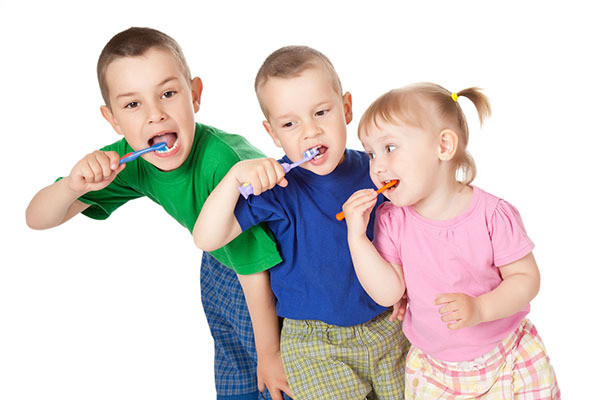 To avoid cavities, you should make brushing your teeth twice daily a priority, using a fluoride toothpaste. Preferably, you should use a soft-bristled toothbrush or an electric toothbrush. Ensure you clean the insides on your teeth, going from the front to the back, and the upper parts. This will help remove plaque or food debris on your teeth after meals. Every time you eat, your teeth trap food debris that ends up turning into plaque. If the plaque is not removed, it binds with bacteria to produce acid, thereby causing cavities. Use flossers or interdental cleaners to clean debris between the teeth. Sometimes, cavities can go undetected for a long time unless you visit a dentist for an examination or X-ray. Going for routine checkups and dental cleanings is essential if you want to avoid cavities and maintain proper oral hygiene. You can ask your dentist about getting fluoride supplements or for suggestions on the best way to brush and floss, to make sure you clean the correct way. Excellent nutrition has a crucial impact on excellent oral health. Consuming nutritious foods and reducing your amount of sugary drinks can help to stop plaque from building up on the teeth. Increase your water intake and try not to eat sugary snacks, hard candies, or acidic foods that may cause trouble for your teeth. You will find several brands of antimicrobial dental rinses on the market that have been clinically certified to prevent or lessen plaque. Washing your mouth with these mouthwashes after meals or brushing can help prevent cavities. Sealants are protective materials placed on the chewing surfaces of the back teeth. The sealant serves as a shield for the tooth against the accumulation of plaque and bacteria to prevent cavities. Children are common candidates for sealants because of the eruption of permanent teeth, but adults can also get them. It may be hard to believe, but chewing sugarless gum can be beneficial for fighting against cavities. It can help by enhancing the flow of saliva in the mouth, which helps to clean the mouth naturally. In 2007, the American Dental Association (ADA) awarded their approval seal to Orbit, Eclipse, and other chewing gums because they help avoid cavities. Check for the ADA's seal of approval on chewing gums or any other dental products before buying. The rule is simple — excellent oral hygiene means lower risk of dental cavities. Speak with one of our dental health professionals today. Request an appointment here: https://www.angelafennell.com or call Angela S. Fennell DMD, PC at (256) 660-3089 for an appointment in our Huntsville office. Check out what others are saying about our dental services on Yelp: Composite Fillings. © 2019 Angela S. Fennell DMD, PC. All Rights Reserved.